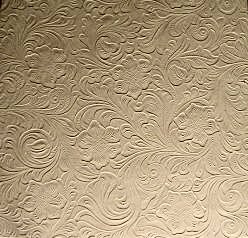 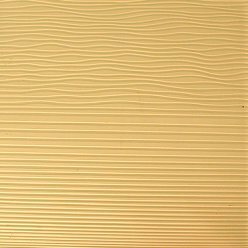 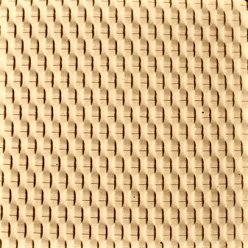 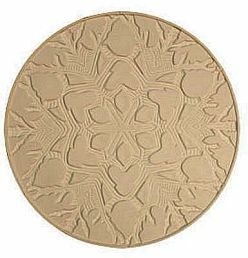 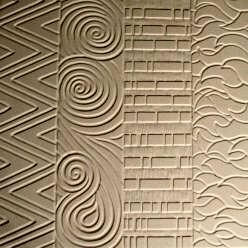 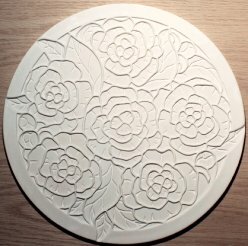 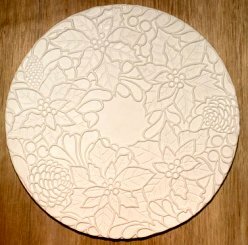 These texture tiles will add an extra dimension to your fused and slumped pieces. 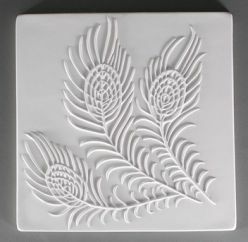 Fuse your glass on one of these tiles, and then slump into your favorite mold. 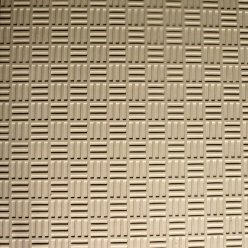 The pattern will remain after slumping. 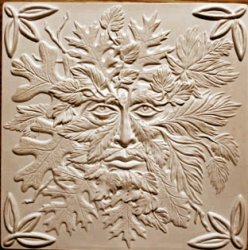 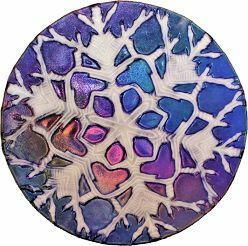 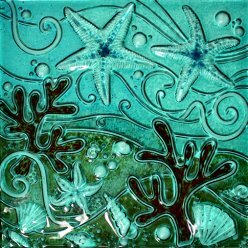 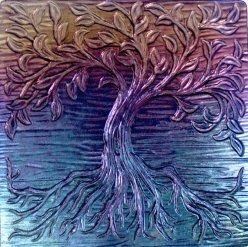 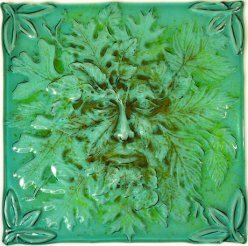 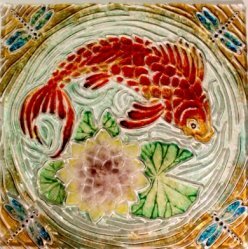 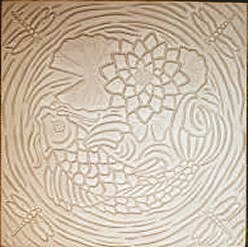 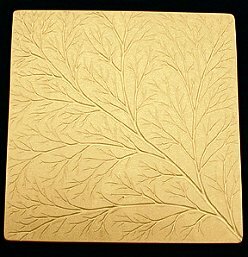 Tree of Life Texture Tile 12x12"
Green Man Texture Tile 12x12"
Sea Life Texture Tile 12x12"
Koi Pond Texture Tile 12x12"
NOTE: artist used brown frit swept into the textured portion of the tile to produce the veined effect in the lily pad. 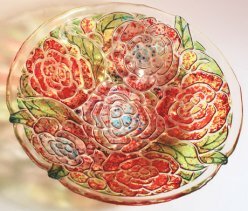 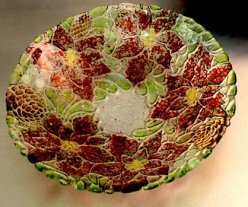 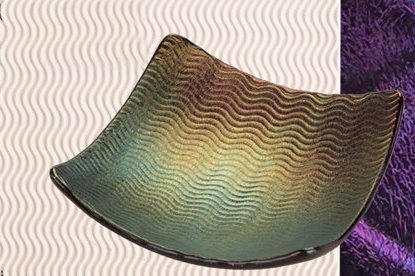 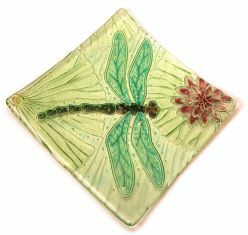 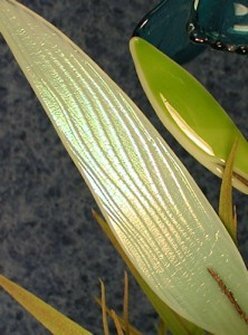 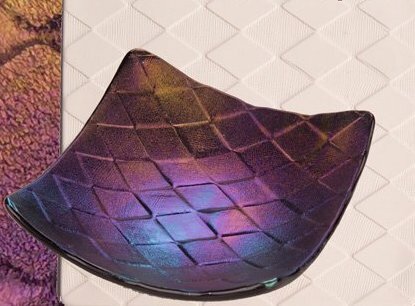 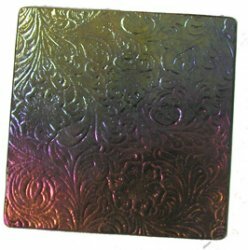 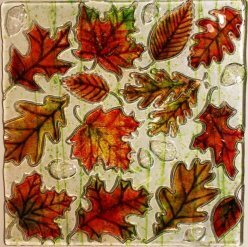 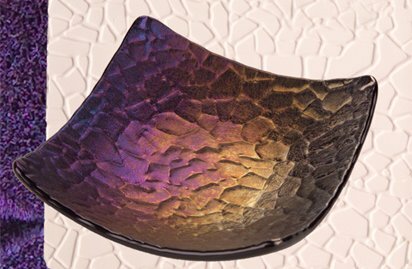 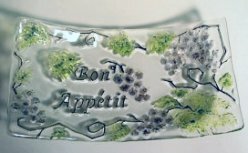 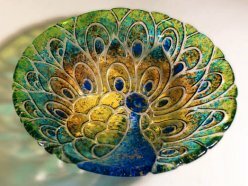 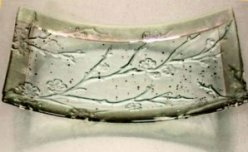 Many of the projects illustrated above used iridized glass to bring out the highlights created with these texture tiles. 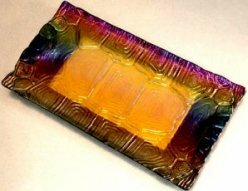 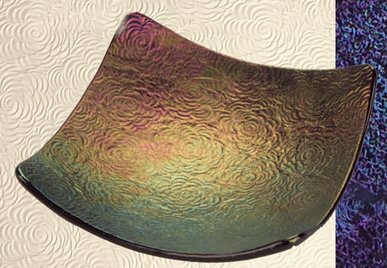 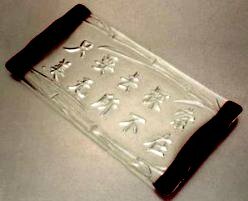 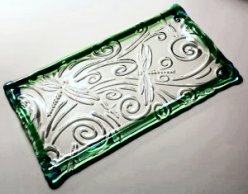 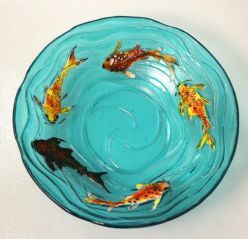 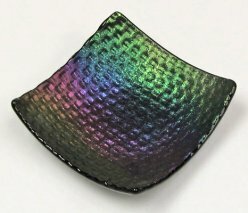 When using iridized glass, fuse your piece with the iridized side face down, touching the mold surface. 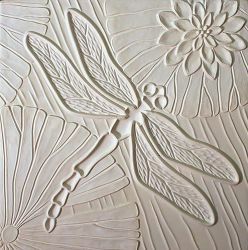 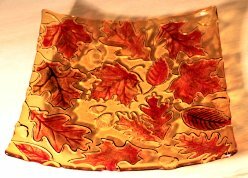 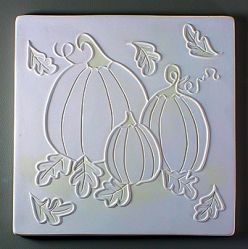 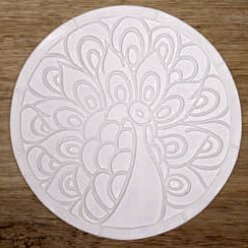 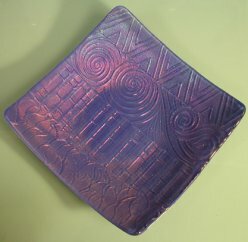 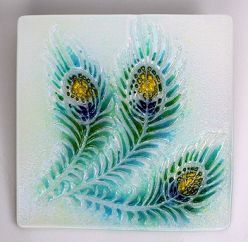 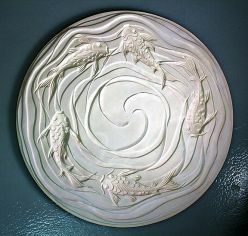 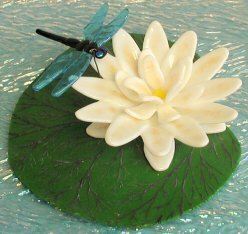 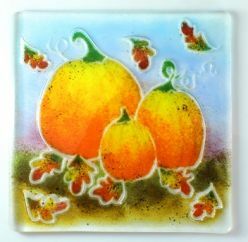 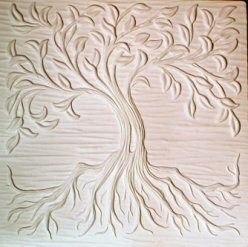 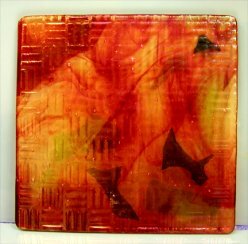 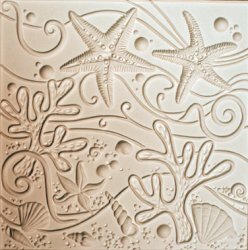 Click here to see the 8x8 square mold used for the four pieces above.